TV and radio, so often, are soundtracks playing in the background. Newspapers are becoming old news. But print mail still holds the attention of consumers. Advertise in our Blue Envelope of coupons to reach as many as 100,000 qualified households all over southeast Idaho and the cost of doing so is spread among all the advertisers involved. You select the neighborhoods and the mailing frequency. We’ll collaborate with you to design an eye-catching ad. Choose from single-panel coupons, multipanel coupons, circulars, unique imprinting and more. Contact Valpak of South/East Idaho to reach qualified households in Pocatello, Blackfoot, Idaho Falls, Rexburg and surrounding communities. For specific dates and coverage, contact your Valpak of South/East Idaho representative. 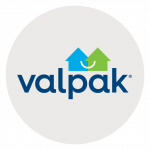 Valpak of South/East Idaho is an independently owned Valpak franchise.